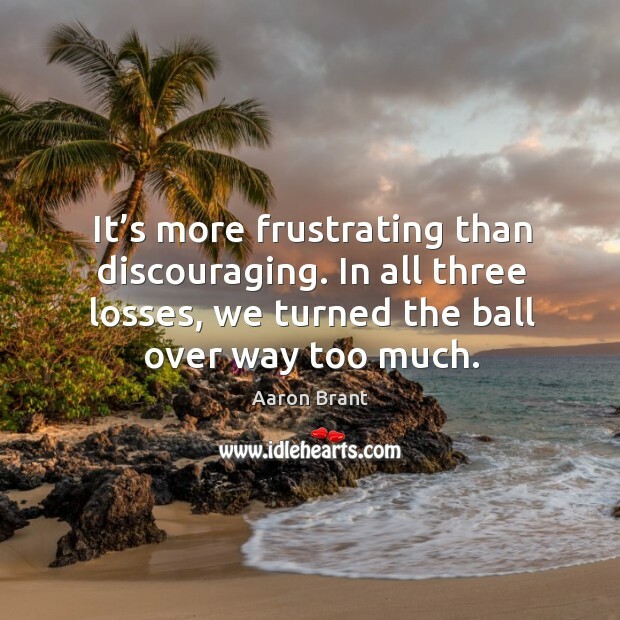 Enjoy the best inspirational, motivational, positive, funny and famous quotes by Aaron Brant. Use words and picture quotations to push forward and inspire you keep going in life! It’s more frustrating than discouraging. In all three losses, we turned the ball over way too much. 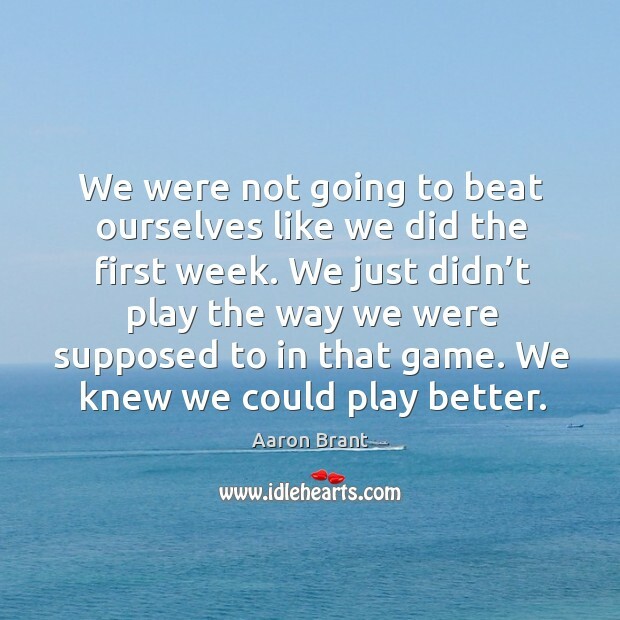 We were not going to beat ourselves like we did the first week. We just didn’t play the way we were supposed to in that game. We knew we could play better. 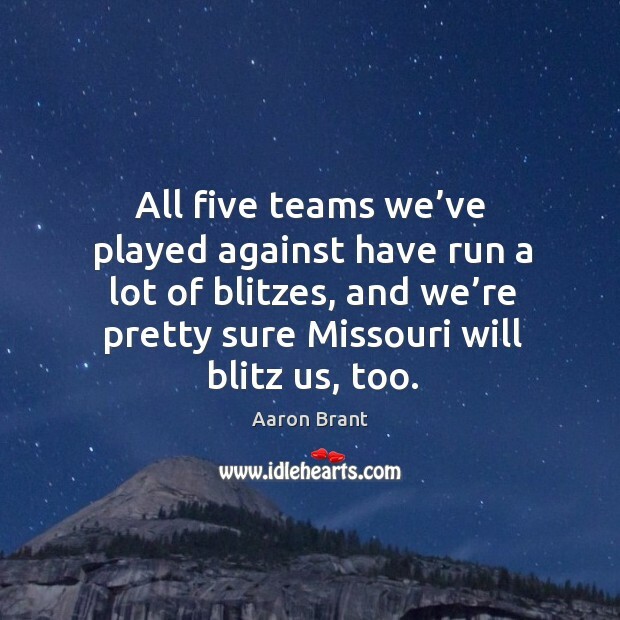 All five teams we’ve played against have run a lot of blitzes, and we’re pretty sure Missouri will blitz us, too.